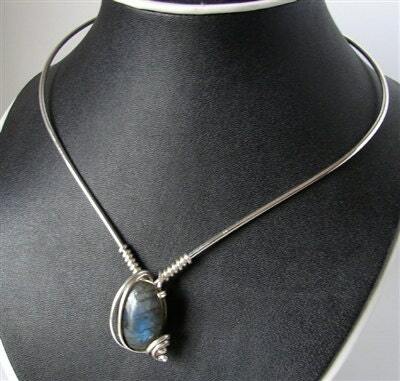 Hand wrapped Sterling Silver setting holds a natural Labradorite cabochon that flashes blue when light hits it. 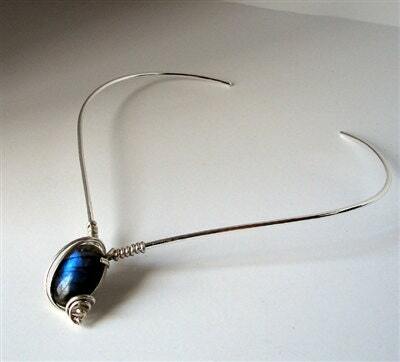 The neck wire is 16 inches of sliver plated brass round and very sturdy. Order it in Gold plate and Sterling Silver for an interesting contrast.